I started this post a few days ago but it’s taken me some time to gather it all together. Mommy Love Nail Polish gave me this award a few days ago and then again today Bare Faced Beauty gave me a Liebster Award as well. I’m so honored! 🙂 I never win anything, much less two awards. You girls are so sweet! I met my husband on the school bus our junior year of high school. We’ve been together 10 years on Wednesday, Nov 28th. I have a very hyper 2 year old son. I’ve been a stay at home mom for the past almost 6 months but going back to work soon. I’m a sucker for trashy reality TV. My son helps me pick out most of my nail polish that I buy in a store. I’ve lived in Florida my whole life. Almost the same town my whole life too but I did move for a year when I got married. I have 1 tattoo, which I kind of hate now. I hope I’ll love my 2nd one more when I get it. I prefer glitter polish over anything else and I don’t like jelly polishes. I slammed my middle finger on my right hand in a door about 2 1/2 months ago and my nail just fell off last week. Now I’m waiting patiently for it to grow back and wear a band-aid around my ugly nubby finger in public. So you wont see my right hand in any pictures purposely for a long time lol. Annnnnd! Last but not least… I made a Boston Cream Poke Cake for Thanksgiving and I’m single-handedly eating the whole thing by myself. I’m not mad about it either. 2. Snow or Sun. Sun! I’m a Florida girl. 3. If you could choose one of your personality traits to pass on to your children, what would it be? My sense of humor. I’m always joking around and know how to have a good time. 4. Which is your favorite genre of movies? (Comedy/Romance/Suspense/Action/Horror) Romance. I love a good tear jerker. 5. If given a chance to skip work or school for a day, how would you spend the entire day? Probably sleeping in bed all day. I’d try to find time to make it to a spa for a massage too though. 6. Which animal would you want to be? Why? A tiger. Because I remember wanting to be a tiger when I was little lol. 7. What was your favorite food when you were a child? Cheese! I love cheese. 8. What chore do you absolutely hate doing? Dishes. 10. Is there one thing you still won’t tell your parents you have done? There are a few. I’ll keep them to myself so I don’t get grounded for life again if my mom reads this. 11. How would your friend describe you to someone who has never seen you? Friendly. I hope. 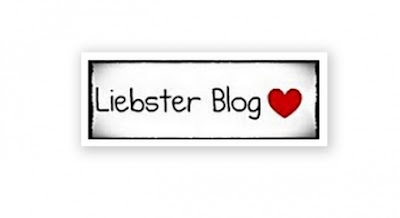 What do you look for in a blog? I love blogs that have a sense of humor and relate to things I enjoy as well. What is your favourite accessory? My phone! Any strange habits? I don’t believe I have any. I probably do and just don’t realize it. What is your dream job? Being a stay at home mom with about 3 kids. If you won the lottery, what would be the first thing you’d spend your money on? Paying off debt to buy my own house! What is the one major gift you’re hoping for this year for the holidays? If you could only have one drink forever for the rest of your life, what would it be? Do you want/have kids? If so, how many? If you had to move and choose to live somewhere else forever, where would it be? And why? If you won the lotto, what would be the first thing you buy? 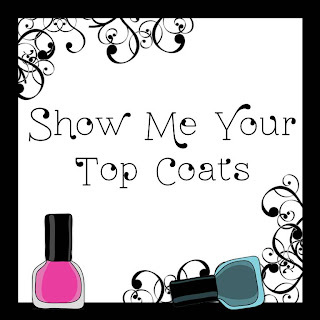 What’s the one thing in your make-up bag that you can’t live without? What made you deiced to start blogging? How many kids do you have or see yourself having? 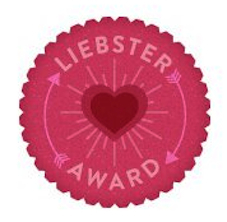 Here are the awesome blog’s I’m tagging for the Liebster Award. O my gosh! I’m loving Catfish too!!!! I’m such a crybaby when it comes to shows like that! Me too! And I fell asleep during last nights episode. I’ll have to catch up on it sometime this week.